For ASIFA-Paris, Sébastien Dabadie produced a program that was shown to its members in L’Ecole de L’Image” theater at the Gobelins Institute in Paris. It was a screening/fundraiser, and Sebastien gave a wonderfully detailed introduction, in French, of course, and at the end, brought Tee Bosustow up for an interview, which was conducted in a sort of Franglais, French-English, which both men seemed comfortable with, as was the audience. However, the program ran long, because of many questions from the audience and everyone had to leave the theater, but, the discussion continued outside on the sidewalk of Boulevard Saint-Marcel, in the 13th arrondissement. It was chilly out there, but no one seemed to notice, except the two Southern Californians, Tee Bosustow, and his daughter, Sylvie. The images are from the inside introduction/interview/Q&A and the outside discussion continuation. The program was videotaped by Sylvie. 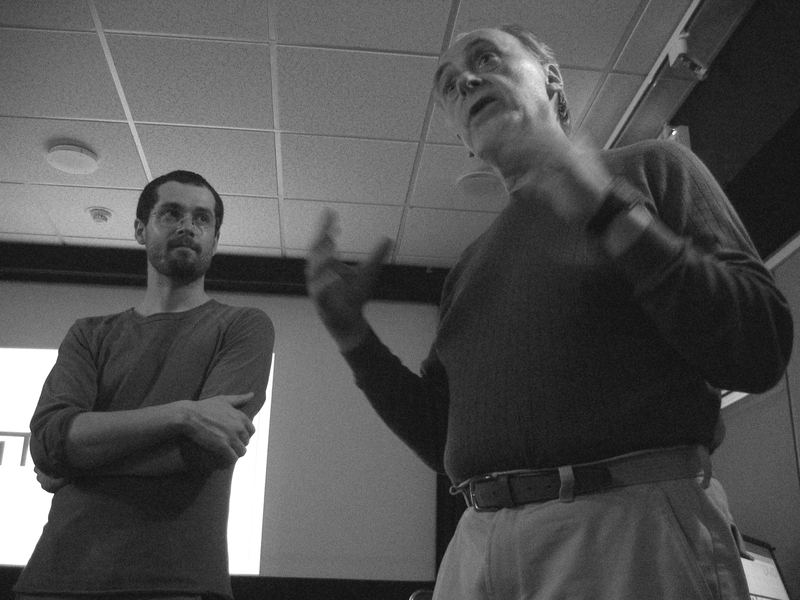 Like many of these sorts of events, the UPA films attracted people to attend, but the discussions before, during, and after the programs were even more important. It was here that we were able to pitch the documentary, meet new contacts, and in some cases, bring in some funding and/or another crew member. The downside is that this would stop production, but we felt, and still feel, that these events helped propel the production when we returned to the drawing boards.